© 2005. Published by Canadian Human-Computer Communications Society. ISBN 1-56881-265-5. 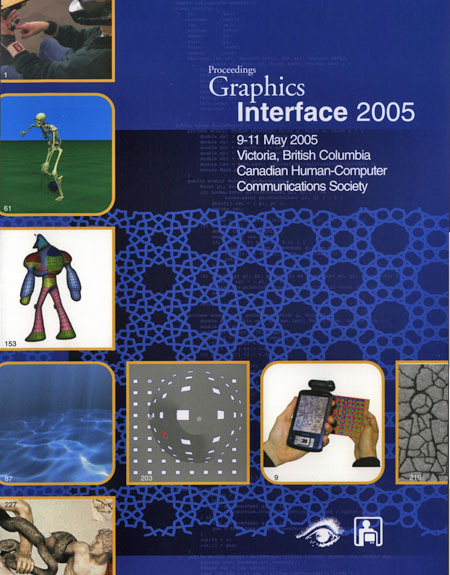 The thirty-first Graphics Interface featured invited speakers Holly Rushmeier, Yale University; Bill Buxton, Buxton Design; and Ramesh Raskar, Mitsubishi Electric Research Labs, all outstanding leaders in their respective fields. Dr. Ronald M. Baecker has received the 2005 CHCCS Achievement Award for his significant research contributions in computer graphics and human-computer interaction over the past 40 years.